US Airways Group Inc (LCC), JetBlue Airways Corporation (JBLU): Could Budget Cuts Keep Your Flight Grounded This Summer? The Federal Aviation Administration has been forced to cut its 2013 budget as part of the sequester mechanism implemented to reduce the federal deficit. In order to cut costs, the FAA is furloughing all of its workers for one day every other week through September. The cuts will have a large impact on the capacity of some major hub airports, depending on the time of day and weather conditions. As a result, the FAA has warned airlines and travelers that they could face excessive delays in some cases. While some members of Congress have complained that the FAA could have saved money elsewhere in its budget, and a number of airlines sued in federal court to block the cuts, these efforts have so far been unsuccessful. The FAA furloughs went into effect this week. Effects were already being felt in Los Angeles and New York by Sunday night and Monday morning. If these cuts remain in place during the busy summer travel season, fliers could face massive delays and some travelers might avoid flying altogether. This could have a significant negative effect on airlines. The first major signs of trouble became visible on Sunday in Los Angeles. With three fewer controllers per day in the tower at Los Angeles International Airport, the airport experienced delays of up to three hours on Sunday night, with some airlines canceling flights to avoid the backups. On Monday morning, the focus shifted to New York, where all three major area airports faced significant delays. There were also reports on Monday that the Washington, D.C., airspace was overloaded due to the cutback in controllers. Some southbound flights from Newark Airport had to turn back because Washington air traffic control could not accommodate them. Associated Press pointed out that an 8 a.m. 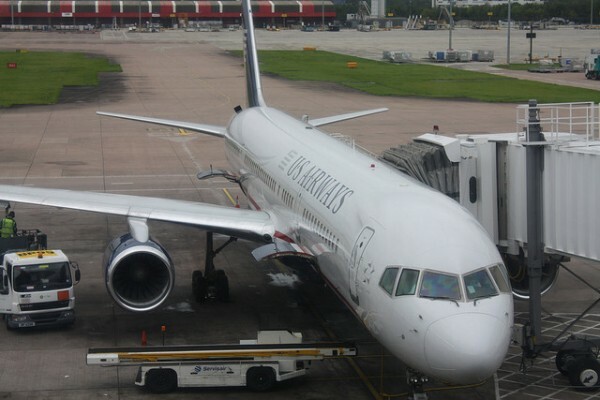 US Airways Group Inc (NYSE:LCC) Shuttle flight from Washington to New York left the gate on time but had to wait almost two hours to take off, causing it to arrive in New York later than the 8 a.m. Amtrak Acela train. Airlines face two distinct risks if FAA furloughs remain in place during the summer travel season. First, customers could choose to avoid flying altogether, if they become worried about the likelihood of delays. People could choose to drive or take the train to avoid short flights like the airline shuttles between New York, Boston, and Washington. Vacationers may choose nearby destinations so they can drive rather than dealing with the hassle of flying. This could have a significant impact on airline revenues this summer.